Repair unrecognized Sandisk USB 3.0 flash drive .Download Sandisk ALcor AU6989ANHL-G USB format tool and repair your flash drive now . 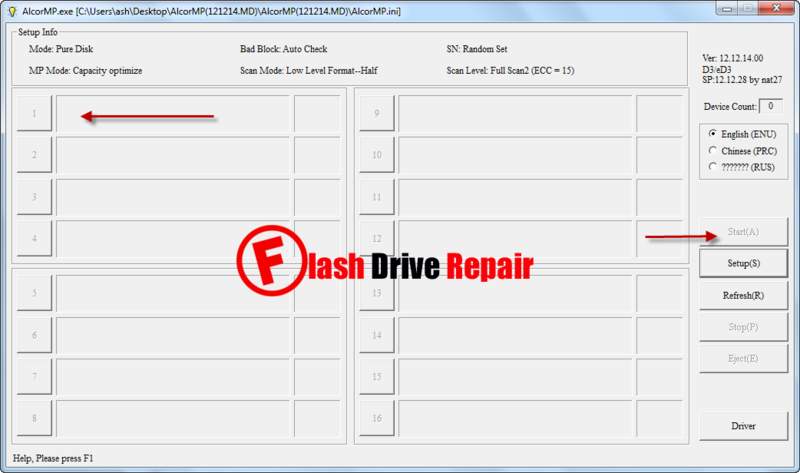 Hello my friends , today i will explain how to repair corrupted Sandisk flash drive that have Alcor AU6989ANHL-G chip controller .At the beginning a friend of our website "Flash drive repair " His name is "Alex Salenko" he had a problem with his Sandisk USB flash disk "i don't exactly sure of that but chip genius report says it's Sandisk Flash drive with ALcor AU6989ANHL-G chip controller . Now i will explain the flash drive repair process that successed in repairing his flash drive .This is his flash drive chip genius report . He write his flash drive chip genius report and he leaved a comment in this article >>Repair Kingston USB flash drive . So i give him the right software of his flash drive and it's worked with him good , you can visit the article to see his replies .Now i will tell you what is this magical tool that repair his corrupted USB disk .To repair corrupted Sandisk Alcor AU6989ANHL-G USB flash disk , we will use AlcorMP format tool V12.12.14 . Download Sandisk ALcor AU6989ANHL-G USB format tool from the download links in the bottom of this article . Open AlcorMP V12.12.14 format tool and click on Start to begin formatting your flash drive . thanks a lot for your help but I have a Sandisk Cruzxe and tried the Alcor, the recover dsk and the smart drive recovery with no luck. any tool to fix it? Any tool to fix it ? hi my name is Mohit and my Kingston DTSE9H 16 GB pendrive was currupt so can you tell me what I should do?